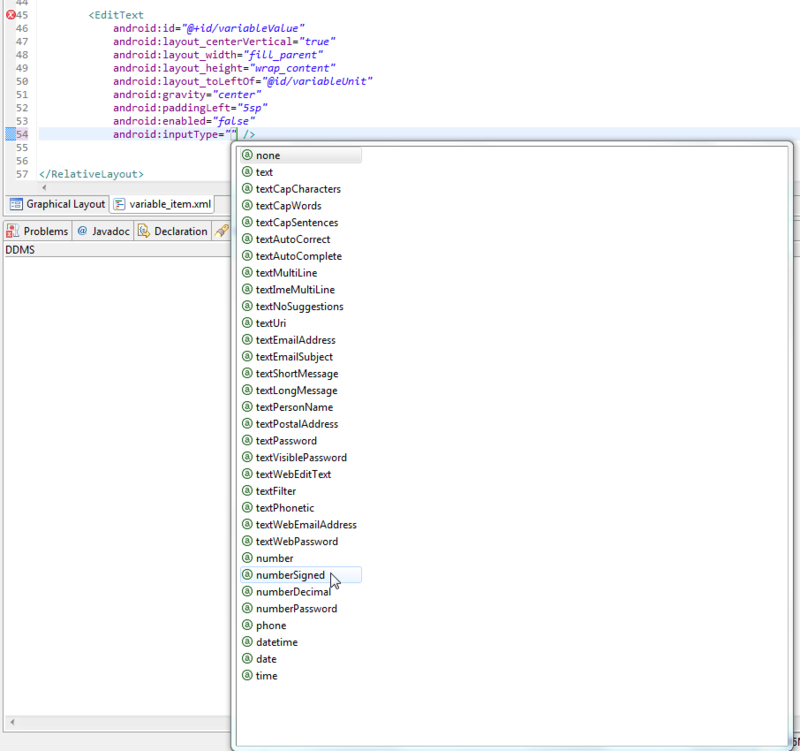 The type of data being placed in a text field, used to help an input method decide how to let the user enter text. The constants here correspond to those defined by InputType. Generally you can select a single value, though some can be combined together as indicated. 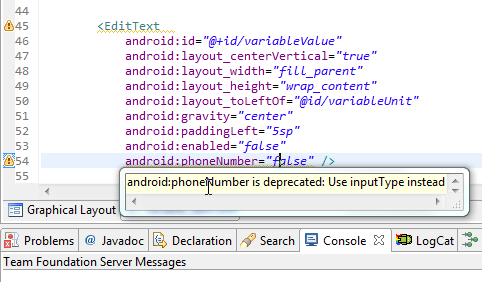 Setting this attribute to anything besides none also implies that the text is editable. Must be one or more (separated by ‘|’) of the following constant values.